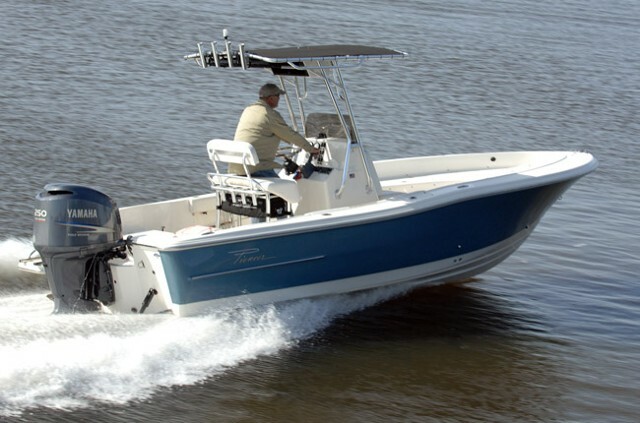 With all fishing functions well considered, this shallow-draft skiff still carries 16 degrees of deadrise at the transom to help with choppy conditions. 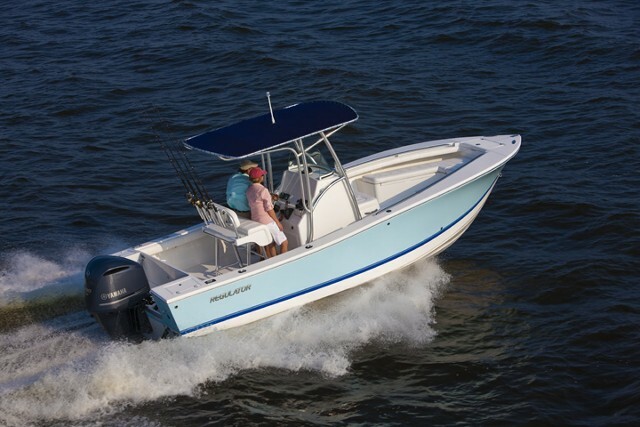 High-end bay boats like those from Pure Bay, Blackjack, Blazer Boats, and Nautic Star have become amazingly popular in the past decade, especially among inshore anglers along the Gulf and Atlantic coasts. 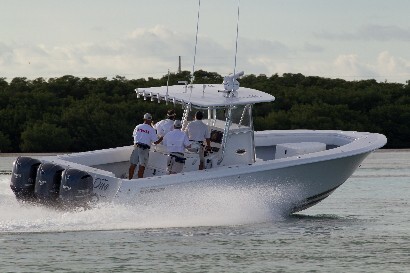 These semi-V fishing machines are a specialty of Blue Wave, and they’ve redesigned their 2200 Pure Bay. So, did they build a better boat? Let’s check it out. 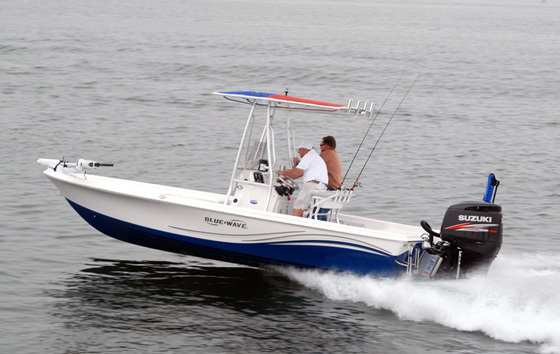 The Blue Wave 2200 Pure Bay will cruise at 40 mph with just a 150-hp four-stroke. 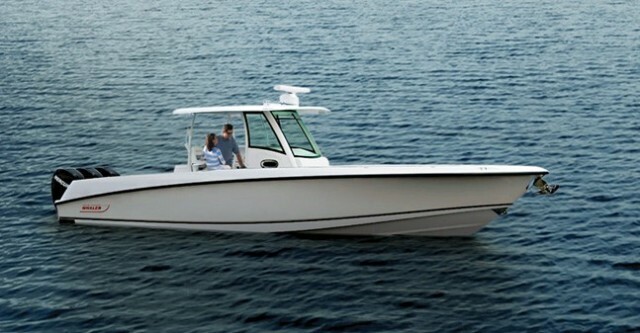 Ever since I first ran a Pure Bay, I’ve been impressed with this company’s designs and detailing -- little things like the shape of their nonskid, which actually matches their logo; the aft seats, which fold flush to become an aft casting deck; and the molded-in trolling motor platform on the bow. The 2200 Pure Bay takes attention to detail a step farther, with perks like a new deck drainage system that incorporates three-inch drains that won’t clog while they keep your feet dry. And notice how the bow casting deck has a raised toe-kick to keep fly line from spilling over the side. Or make a close examination of the fishboxes, which drain overboard and have enough capacity to stow a monster redfish. Lest you miss it, there’s even a hatch over the aft bilge and rigging area, so your fishing lines won’t tangle with the outboard’s steering and fuel lines. To say the layout is well thought-out is an understatement, plain and simple. 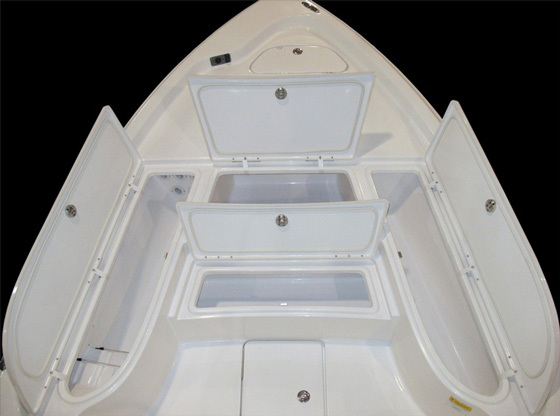 Fishboxes, rodholders, and other stowage spaces are plentiful and well-designed. Blue Wave’s attitude and attention to detail is no surprise when you get a little bit of company background: This is no corporate mass-producer, it’s a home-grown, family-owned company run by third-generation boatbuilders. And this is also why the 2200 is a boat that doesn’t hold a lot of hidden cost. Unlike some business-oriented builders, which list an artificially low MSRP then hit you with a big bill for “options” like a fuel tank or a steering wheel, the Pure Bay comes ready to splash. In fact, the features list itemizes 41 goodies including big-ticket items like tilt-hydraulic steering, a ten-inch jack plate, a livewell system, and rodholders in the gunwales, leaning post, and console—which are expense-adding options on many bay boats. With all of these items included, just how costly is a Pure Bay 2200? You’ll find them in the mid 30s, with a 150-hp four-stroke outboard on the transom. Wait a sec—only a 150? Yep, and with this mid-size powerplant, you’ll see a top end of 52 mph and a 4500-rpm cruising speed of 40 mph. If that’s not enough juice, you can put on a 225 and make other anglers eat wake, with a 62-mph top end and a 45-mph cruise. What about the ride? 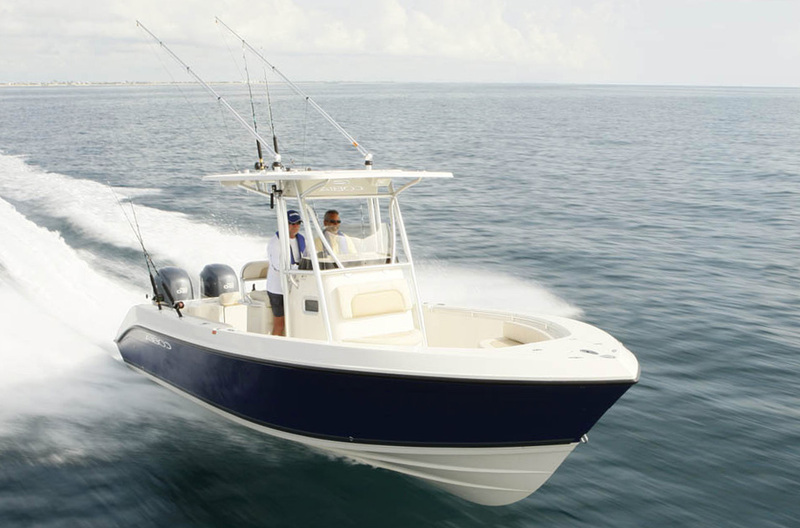 Most bay boats make do with an 8- to 12-degree transom deadrise, since they need to maintain the ever-important ability to run through skinny waters while also offering good stability for standing anglers. 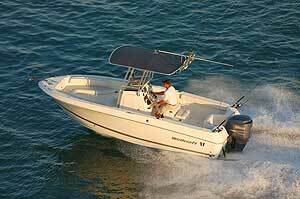 But the 2200 has a steeper 16 degrees at the transom, which gives you a bit more wave-chopping ability. And it can still run shallow, with a draft of just an inch over one foot. So overall, is this a better bay boat? Yeah, you could say that. Or you could spend an afternoon fishing from one—and you won’t just say it, you’ll feel it for yourself. 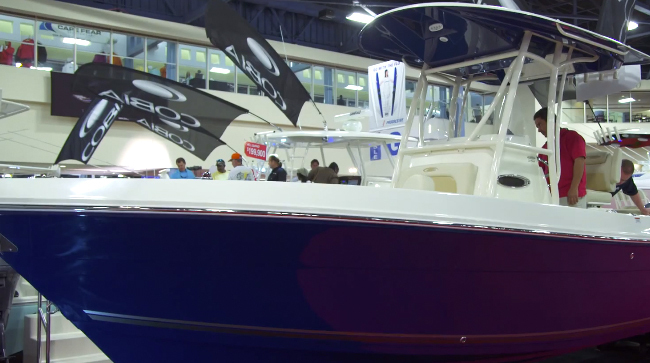 Comparison shoppers will want to see the Blackjack 224, Blazer Bay 2220 Fisherman, and Nautic Star 22 Tournament. 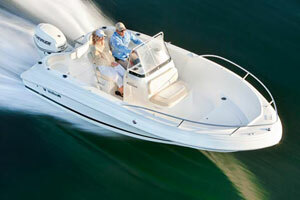 For more information, visit Blue Wave Boats.